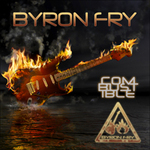 If you like good guitar music, you'll love Combustible. It's been at the TOP of the fusion charts for almost TWO SOLID YEARS at numberonemusic! If you like good guitar music, you'll love Combustible. It's been at the TOP of the fusion charts for almost TWO SOLID YEARS at numberonemusic! Physical CDs at Amazon, downloads at iTunes and Rhapsody.